CIITECH, a UK-Israel cannabis biotech startup, announced today that it has selected to sponsor a research project with the Multidisciplinary Center on Cannabinoid Research of the Hebrew University of Jerusalem, focused on the therapeutic benefit of cannabis for the treatment of asthma. CIITECH selected to award research funding, through a non-exclusive grant competition, to the collaborative work of Professor Raphael Mechoulam, a pioneer in the field of cannabis research credited for the discovery of the endocannabinoid system, and his colleague, Professor Francesca Levi-Schaffer, a global expert in asthma research. Together, these two Hebrew University scientists will embark on research to identify a possible inhibitory effect of a derivative of cannabidiol (CBD) on allergic airway inflammation. CBD is the non-psychoactive ingredient or cannabinoid found in both hemp and regular cannabis strains. Last year, the UK Home Office reclassified cannabis, scheduling only the psychoactive compounds of the drug. CBD is now legal in the UK, available in retailers across the country and online. Asthma is a common allergic inflammatory disease both in children and in adults of the lungs airways causing a heavy health burden for patients. 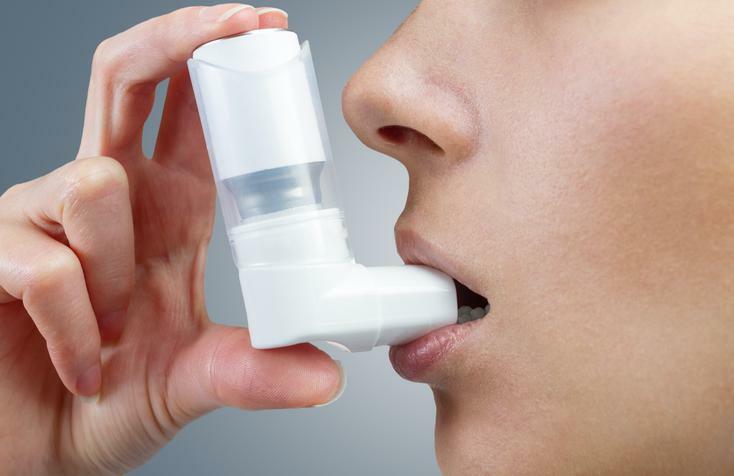 From 1990 to 2015, the number of asthma cases worldwide has doubled. According to Asthma UK, 5.4 million people here receive treatment for the condition including 1.1 million children, equating to one of the highest rates in Europe. Alongside asthma, other allergic diseases include allergic rhinitis, atopic dermatitis, and food allergy that affect approximately 20% of the global population and are continually increasing. The Hebrew University of Jerusalem is globally recognized as the epicenter of cannabis scientific research. The Hebrew University’s recently established Multidisciplinary Center on Cannabis Research, headed by Dr. Joseph Tam, now serves as one of the world’s leading institutes on the plant. Israel’s supportive regulatory environment and collaborative healthcare ecosystem place the country at the vanguard of therapeutic cannabis. Prof. Francesca Levi-Schaffer’slaboratory at the University is focused on finding novel ways to treat allergy and recently started to study the effects of cannabis compounds on mast cells and eosinophils, the major effector cells in allergic diseases. CIITECH is sponsoring the UK’s first medical cannabis conference Cannatech London on 26th October 2017, organized by iCan: Israel Cannabis. CIITECH is a cannabis biotech company that focuses on discovering, developing and commercializing therapeutic cannabis products. By collaborating with leading research institutions in Israel and local suppliers in the UK & the EU, CIITECH leverages the full potential of Israel’s cutting-edge cannabis innovation. Through its UK based eCommerce shop EssentialCannabinoids.co.uk, Israeli cannabis products are available for the first time and exclusively overseas. Go to www.ciitech.co.uk for more info.